- Blast stuff from the sides. Time limits, Time of game speeds up over time. Getting back into 2D, I have been learning and exploring 3D, this was a welcome change. 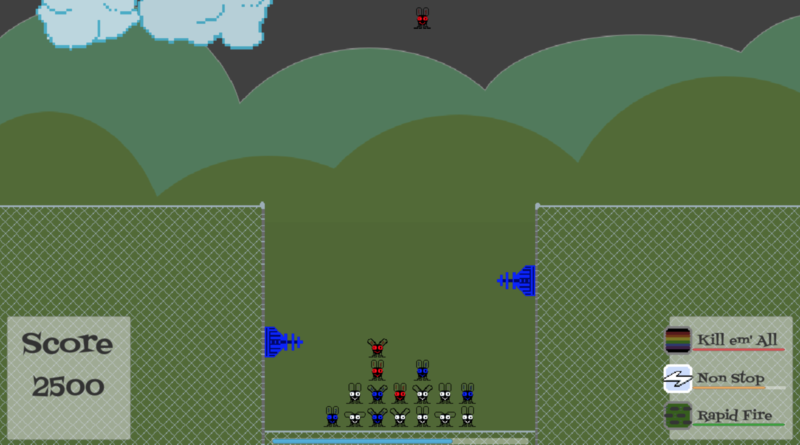 Also, my coding style has improved over the past several months, Also I did all the graphics... I've come a long way since my first GameJam. Thanks James. I hope you have fun with this entry. FYI I'm a.k.a. saneangel,, and I'm happy to be one of your supporters on Twitch! Really fun game! I managed to get 34300. I think the mechanics are very cool, and there is a good variety of power-ups that help to change the game up. Overall a great experience! That's a lot of things you covered in 20 hours & it's just your 3rd game jam. Wow!!! Perfectly balanced game. The graphics is fantastic. The music track is really cool. I put it in the background & just chilled for a while. 10 out 5 for your effort, for your skills & for your amazing game. You can really make this game bigger. It surely has potential. Thanks, I look forward to seeings yours too. Just hit me up when you have a new game! I'll be sincere: I was a bit skeptical about this game. However, turns about this is a pretty good game! It is creative and well implemented, being very simple yet interesting. The powerups sure help, changing the scenario from "almost losing" to "the screen is clear again". However, I think there are two flaws, both quite minor (just my opinion, of course). 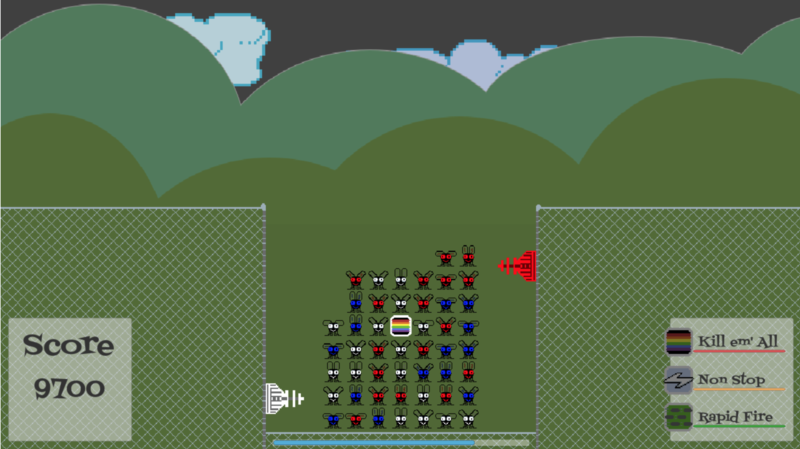 First, I think you could clamp the cannons speed, and second, the gameplay gets a bit repetitive after some time. Either way, pretty solid for a 72hrs jam! Glad you liked it, I only had less than 20 hours to actually do the work, so it was a challenge indeed. Clamping the speed was my initial plan. 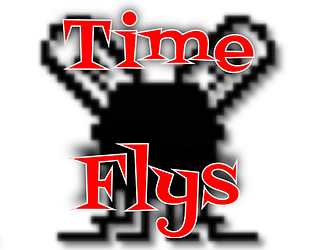 Due to the lack of time, I ended up just using the Time.timeScale++ to make the game speed up. In hindsight I would have just increased the drop interval. So because of that choice, clamping was out (mostly because I was outta time). I figured people would use the down arrow to just slow them down as needed; however, the ratio of speed over time gets really big. Also, given more time I would have totally expanded the game. On the trello board included bombs, blocks (blockers that had timers), a power up to freeze time (drops) and one to change laser color with the spacebar, and of course.... more colors. Thanks again for the feedback, I totally agree with you. I see, for the time you had this is a solid entry as I said. Also, even if it isn't "good" that all those things were not implemented, it sure is good that you had lots of ideas, and surely would implement them with enough time: I believe this way you will not find yourself with plenty of time but no ideas, which is far worse than not having time but having lots of ideas, in future games. Nice mix of puzzle and shooter!